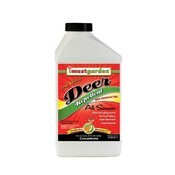 The ingredients used in I Must Garden Deer Repellent stop the deer from eating your plants all year long. Made with botanical oils and food grade ingredients. There are no poisons, harmful chemicals or toxic glues in our products. Our fragrant Spice Scent formula is extremely popular because it smells great and it works! Some people say it smells like potpourri. Not only do the essential oils make it smell fragrant to us, the botanicals we use are from plants deer naturally avoid or find offensive. Odorless when it dries its effectiveness lasts for weeks. 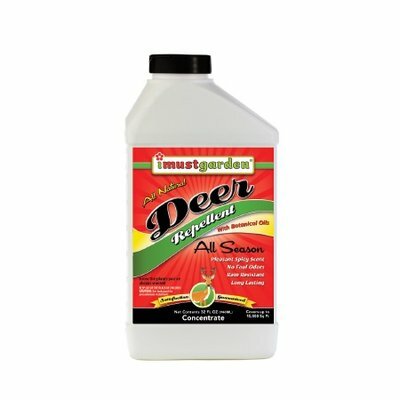 People are always telling us how much they hated to spray their old deer repellents because of the stench, until they tried I Must Garden Deer Repellents. No more taking a shower after spraying, no more getting sick while spraying, just proven results. 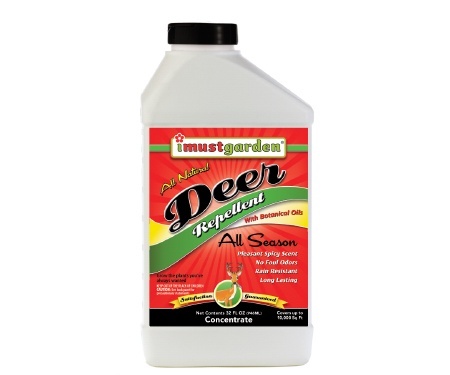 Protecting your plants is easy – simply spray plants with I Must Garden All Natural Deer Repellent. Please consider the following guidelines. -Spray plants thoroughly. Cover plants with a fine mist until runoff. -Apply to dry plants and allow repellent to dry for at least 1 hour before rain or watering. This helps the repellent adhere to the plants, giving it long-lasting effectiveness and rain-resistance. -Reapply repellent every 2-4 weeks. Areas with heavy deer pressure may require more frequent applications. -Touch up new growth regularly. During the growing season consider spraying every 2 inches of new growth. Adjust application times as necessary depending on weather conditions and rate of plant growth. -Apply repellent in the morning or evening. Spraying in the heat of the day and in direct sunlight exposes plants to the possibility of burning. Good gardening practice recommends NOT spraying in direct sunlight and NOT spraying during the hottest time of the day.